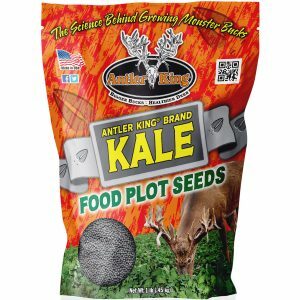 Antler King’s RED ZONE is a food plot mixed designed to offer all serious whitetail hunters a way to increase their chances of scoring on a trophy buck no matter what season they hunt! Red Zone is comprised of 2 varieties of forage and grain soybeans, a variety of forage peas, a variety of buckwheat and more! 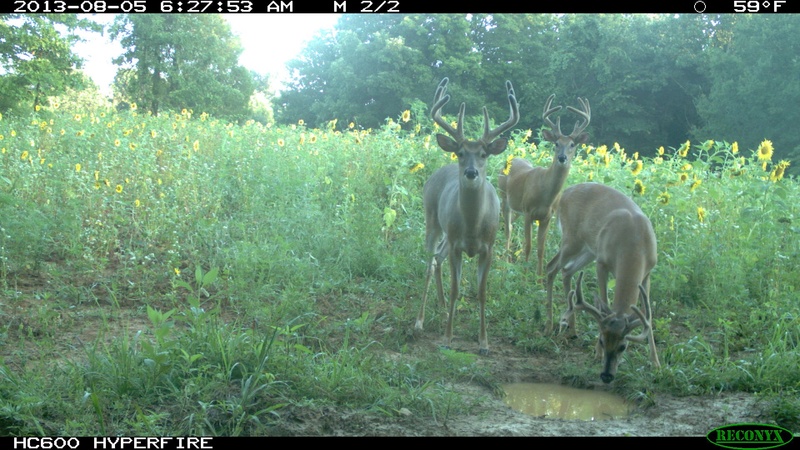 Red Zone will mature at different periods throughout the year, offering a food plot the deer will crave during the spring, summer, fall and winter. 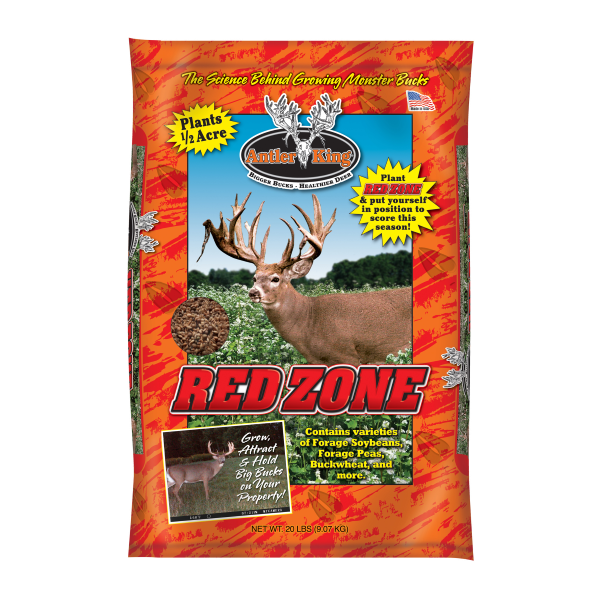 If you can only plant one food plot this year, you need to plant RED ZONE! WHY RED ZONE? 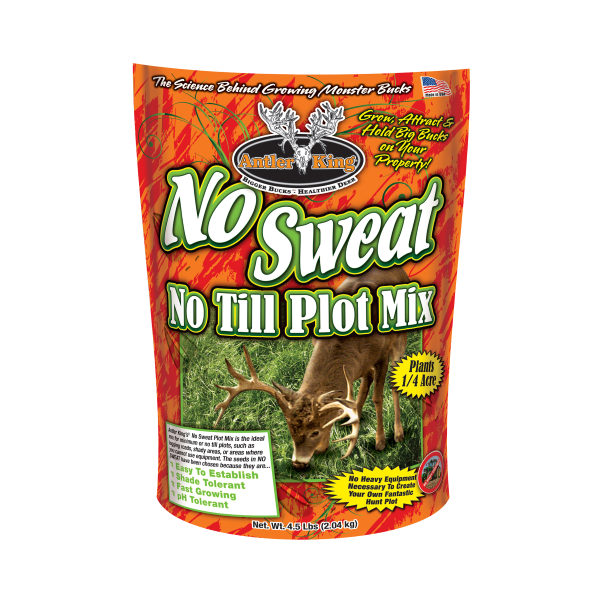 Planted in the Spring, Summer or Fall Red Zone provides a high quality “smorgasbord” to offer your deer a highly nutritious food plot all 12 months of the year. The special varieties of grain and forage soybeans are great Spring, Summer and Fall food sources. If the deer allow the grain soybeans to mature they will also provide critical protein and energy well into the Fall and Winter. The two varieties of grain and forage peas will provide great all season forage and are a palatable early season protein and energy source. Typically once the peas in Red Zone flower, deer will systematically eliminate them from the entire food plot. If they are allowed to mature the grain peas will climb the taller sunflower stalks and provide great late season protein and energy sources. 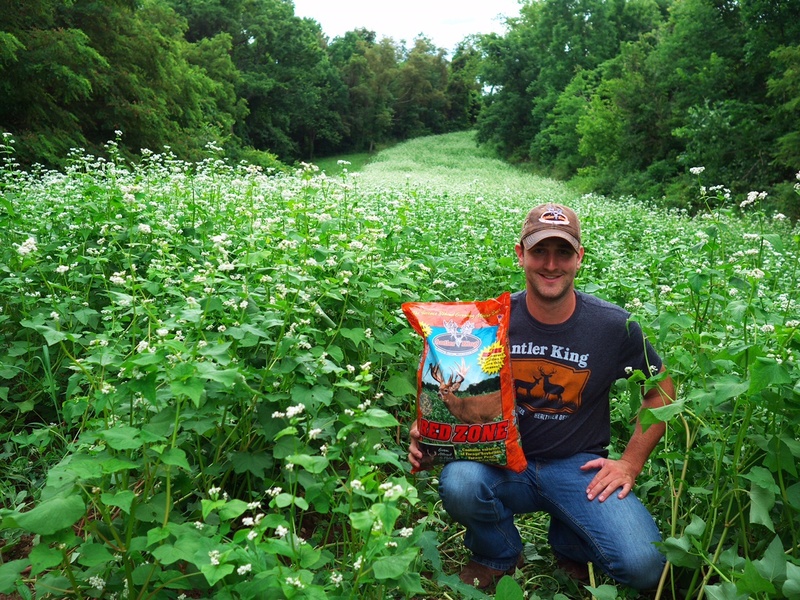 Buckwheat and Sunflower seeds complete the Red Zone food plot mix and will both offer great early season food sources. Buckwheat is a warm season annual and will be one of the first plants consumed in the Red Zone mix. whereas at full maturity sunflower seeds provide great late season energy sources for deer and game birds. NUTRITION: The wide variety of plant species in Red Zone provide your deer herd the protein, energy and nutrition they need on a year round basis, making this mix a great food plot to plant in the Spring, Summer or early Fall. The leafy greens of the forage beans and peas can produce 30%+ protein and provide critical nutrition during the Spring and Summer to help maximize bone, body and antler growth. If they reach maturity grain soybeans provide over 30% protein and are great energy providers, due to their high oil content…it’s easy to see why soybeans are such an effective year round deer attractant as deer crave what they need to survive. 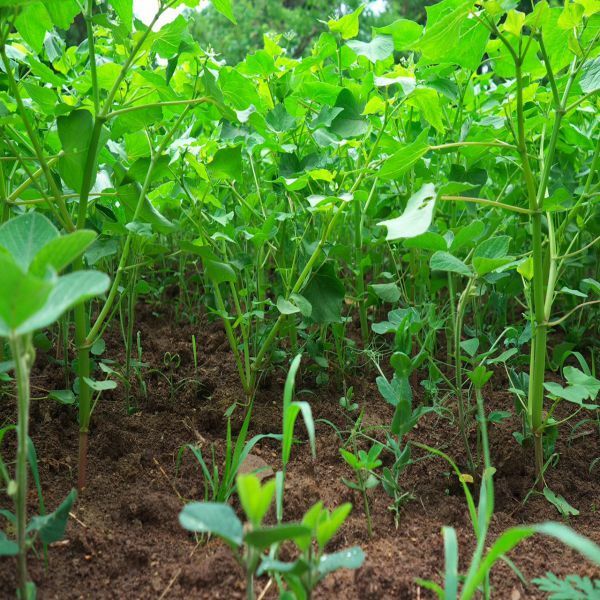 At maturity the peas will vine up the Sunflower stalks and offer your deer herd great protein and energy sources in the winter months. Buckwheat and Sunflower seeds offer great nutrition as well providing 15-25% protein in their early stages of development and if they reach maturity Sunflower seeds can offer a great late season energy source for your resident deer and birds. Contains high protein forage and grain soybeans, high protein forage peas, succulent buckwheat and sunflowers. 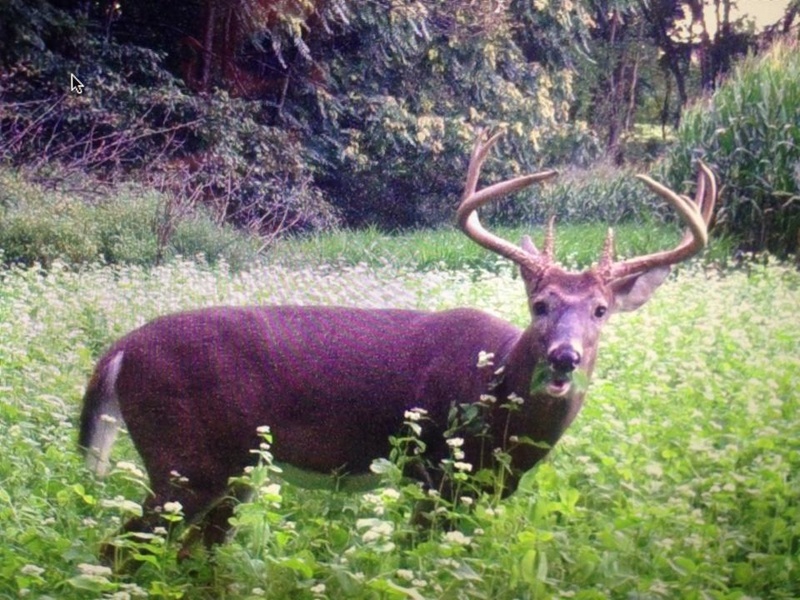 High protein food plot in spring and summer. High energy food plot for fall and winter. Can be planted May thru August in the northern U.S. and March thru September in the southern U.S. When planting in the fall plant at least 60 days before the first expected frost. Best planted with a drill, but if a drill is not available, broadcast the seeds and then drag them into the soil. Available in 20 lb. bag which plants 1/2 acre.